Treats that provide nutrition are always more beneficial than food items that seem to be nothing more than empty calories. Establishing a regular routine when offering treats my help your hedgehog try new treats since they know treats are expected at that time. Perishable treats should be removed after one hour. Insectivores by nature, hedgehogs typically love insects. It is a good idea to include insects as part of your hedgehog’s balanced diet. The most popular insects of hedgehogs and their owners are live mealworms, wax worms, silk worms and crickets. Canned crickets, mealworms (only one or two per day), wax worms or other insects can be used but they tend to smell bad and should ideally be used within a week of opening. Rancid canned insects can cause stomach upset to hedgehogs. Amy Hood of Hood Petz had a necropsy report that showed that one of her hedgehogs died from a freeze-dried mealworm impaction in the intestinal tract. This was due to the hedgehog’s inability to digest the freeze-dried mealworms. For this reason, many hedgehog breeders and enthusiasts do not recommend freeze-dried insects. We prefer to use pet-quality, farm raised insects to wild caught insects because of the risk of parasite infection, insecticide exposure, or other toxins in bugs caught in the wild. Even though hedgehogs are insectivores, a captive hedgehog diet of only insects would not be nutritionally balanced. Please refer to our Insects A La Carte guide for more information on this subject. Most meat is fine as long as they are grilled, broiled, baked, boiled, or even cooked in the microwave. Do NOT feed raw meat or processed meat. Meat should NOT be cooked with oil or butter and should not be seasoned. It is never a good idea to feed raw meat, because of the risk of salmonella or other bacterial or parasitic infections. Meat should be cooked until tender and cut into small pieces. Some hedgehog meat favorites are: grilled salmon, chicken, and turkey. Beef and pork are acceptable, but should be fed in moderation. These meats are not easily digested and contain lower calcium and higher phosphorus levels than other alternatives. Scrambled, hard-boiled, or mashed hard-boiled eggs are a popular treat for many hedgehogs. Be sure that you don’t add seasonings while cooking and try to stay away from too much butter or oils. We scramble one egg with about a teaspoon of water and put it in the microwave for one minute or until cooked throughout. The water makes the egg a little lighter and fluffier than plain eggs. The best way to scramble eggs is in the microwave with no added oils or seasonings. Make sure the eggs are not too hot when you give them to your hedgie. Hedgehogs do not breakdown cellulose in plant and vegetable matter as well as other animals. Fruits are softer and typically easier to digest than vegetables. All vegetables should be diced into small pieces and most should be cooked in the microwave, boiled, or steamed so that they are soft. Hard vegetable such as carrots and sweet potatoes should be cooked to prevent choking hazards. Corn and peas contain excess phosphorus, which decreases the calcium absorption and should only be fed in small amounts. 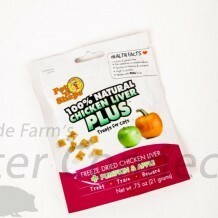 Many people enjoy giving their hedgehog’s baby food as treats. Baby foods are easy to store and relatively inexpensive. Baby food fruits and vegetables, chicken and applesauce, and meat sticks are also popular. Higher stage foods may have added sugar, onion powder, salt, and other ingredients that should be avoided. Hedgehogs are thought to be somewhat lactose intolerant to milk, but yogurt and cottage cheese seem to be easier for hedgehogs to digest. The yogurt and cottage cheese provide extra calcium to your hedgies diet and the yogurt provides beneficial bacteria as well. In one of her posts on Chins-n-Quills, Steph Hyne said she feeds Low Fat Plain Organic Yogurt or Low Fat Cottage Cheese to all of her hedgehogs. Yogurt can be helpful to sick hedgehogs because it reintroduces beneficial bacteria into the gut. Be sure to talk to your veterinarian about yogurt or other dairy products if your hedgehog is on antibiotics or if you are changing an ailing hedgehog’s diet. Some hedgehogs do not tolerate yogurt from cow’s milk. Green stools are the most common and obvious signs of stomach upset. Soy based yogurts are good dairy alternatives. Different hedgehogs have different taste preferences so you’ll have to experiment with various flavors. Some hedgehogs may enjoy fruit flavors and others are happy with plain yogurt mixed into their food or flavored with favorite baby foods. Yogurt can be mixed into the hedgehog’s food or fed alone. Stonyfield Farms (http://www.stonyfield.com/) has a wide variety of organic products that are well suited for both humans and pets. They make lots of products of Organic Yogurts, Organic Smoothies, and O’Soy Soy-Yogurt that are all possible options for ailing hedgehogs. Many grocery stores carry Stonyfield Farms products. Another option is that many health food stores sell organic yogurt that can be purchased in small amounts. Canned or moist cat foods are easily accessible and relatively cheap to try. Pet owner, Megan R. says her hedgehog Prickly Piggly Wiggly, loves Temptations brand cat treats. Agador, the hedgehog loves Friskies Fillets, claims owner McCayla C.
Ferret treats are another option if you have them available. Sweet foods containing refined or processed sugars are not a good source of treats for your pet. We suggest that you completely avoid chocolate because it can be toxic for hedgehogs and other animals. Fried foods are not a good idea because the grease can upset the hedgehog’s stomach and the excess calories are not good for hedgehogs on the heavy side. Hard foods such as peanuts, almonds, and raw carrots are choking hazards. One of our customers had an emergency trip to the veterinarian one night because their hedgehog had an almond lodged in its throat! Sticky foods such as raisins or other dried fruit are not a good idea, because they can stick to the roof of the hedgehog’s mouth or to its teeth causing discomfort and tooth decay. Fibrous or stringy foods such as celery are hard to chew and digest. Raw eggs or meat should be completely avoided, because of the risk of Salmonella. Spicy and foods such as onions and garlic may be upsetting to your hedgehog’s stomach. Grapes and raisins are toxic to dogs and many small animals. They may cause renal, liver, and organ failure. I cook chicken or turkey then send it through my food grinder with green beans, carrots, apples, until it will hold shape. I pack it into ice cube trays and freeze. I pop out the cubes and “frost” at service with flavored applesauce to add color. I grind some of my cat food into semi fine crumbles and add sprinkles. That is very interesting that your hedgehog liked the hay. As long as the hay is from packaged from a pet store it should be fine. Hay used for large livestock hasn’t been treated for anything that could make your hedgehog sick. Your hedgehog may like to nest with her hay. As long as her igloo or sleeping area remains clean it is a comfortable, natural bedding. Keep trying a variety of treats. Just because she doesn’t like it one day doesn’t mean she won’t like it another.